The Philip Esformes trial began with opening statements this week. 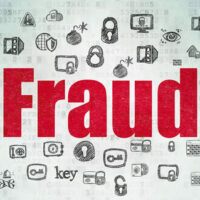 Esformes is accused of running a kickback and fraud scheme that defrauded Medicare and Medicaid out of over $1 billion. The feds claim that Esformes perpetrated the single largest Medicare and Medicaid fraud in U.S. history. His attorney characterized him as a driven businessman who had made millions by setting up quality health care facilities for the elderly and sick. Twenty of the nursing homes that Esformes ran were right here in Florida. The lawsuit is indicative of an ongoing problem in the U.S. healthcare system. Medicare and Medicaid have made it much easier for unscrupulous doctors and health care institutions to overbill patients, bill them for services they never received, or send them for unnecessary tests. If convicted Esformes will spend the rest of his life in prison. Assistant U.S. District Attorney, Elizabeth Young, alleges that Esformes committed essentially the same form of fraud over and over throughout the span of about ten years before being caught. First, Esformes would pay doctors to refer patients to his facilities. Then after their Medicare coverage expired at the first facility, he would move them to a second facility. He then sold access to the patients to others so that they too could defraud the public health insurance. Prosecutors claim that this defrauded Medicare of over $1 billion. The idea was to build a network of co-conspirators and recycle the patients from one clinic to the next through a system of referrals. Doctors would either pay for access to these patients or get paid to refer patients to Esformes’ clinics. Many of Esformes’ co-conspirators have already pleaded guilty to similar charges. Since Esformes is largely considered the mastermind behind the entire scheme, the prosecution was unwilling to cut him a deal and proceeded to trial. With nothing in it for the defendant, Esformes pleaded not guilty. Esformes co-conspirators received reduced sentences in exchange for their testimony against Esformes. The defense has already begun laying the groundwork for attacking their credibility by calling them fraudsters, con artists, and drug dealers. It will be difficult for his attorney to prove that everything that the prosecution’s witnesses are testifying to is erroneous. Typically in situations like this, attacking the witness’s credibility is about the only card that the defense has to play. Given that the prosecution will parade witness after witness tying Esformes to the co-conspirators alongside a paper trail a mile long, it doesn’t look like Esformes stands much of chance. Nonetheless, the allegation that they are only providing this testimony as an incentive to a lesser sentence may resonate with some jurors. Esformes’ attorney characterized the alleged fraud as a dispute between the insurance company and his own business concerning what was or what wasn’t necessary. But, the jury is still out, as they say. If you are accused of fraud, forgery, or other white-collar crimes the Skier Law Firm P.A. can help you get a result that you can live with. Give us a call or talk to us online to set up an appointment.